Last year due to bad weather we had to cancel our first Shark Fishing Experience, this has now been rescheduled for June. This week one of our ladies has had to drop out, so there is now a place free. We will be fishing with Britains top Shark skipper Andy (as seen with John Wilson on sky). It is going to be a mind blowing day, big Sharks, Whales & Dolphins around the boat during the day, and expect a’awesome days fishing’. 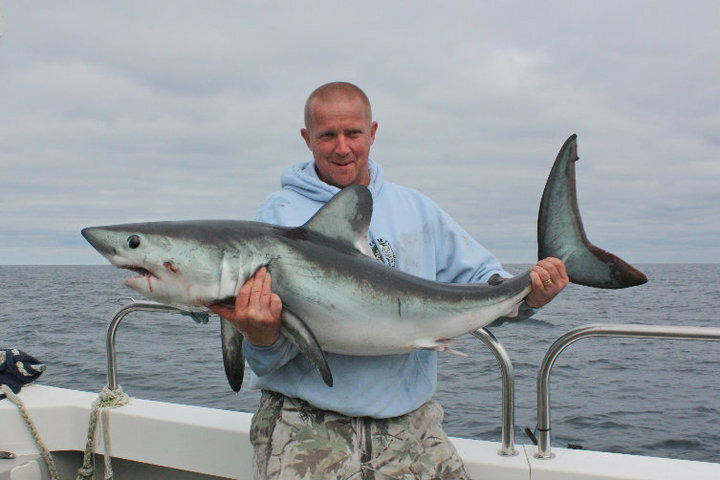 Shark fishing on Friday 24th June in Wales: Equipment, bait and tuition provided.